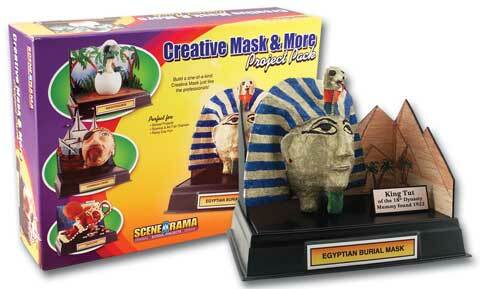 Model a mask, sculpture, art project, ornament or other creation with the supplies in this fun kit. Wet the flexible fabric, let it dry and harden and then enhance with colorful paint and decorative details. The kit includes all the project materials, instructions and a fun educational activity booklet, plus a base and backdrop to display your creation.